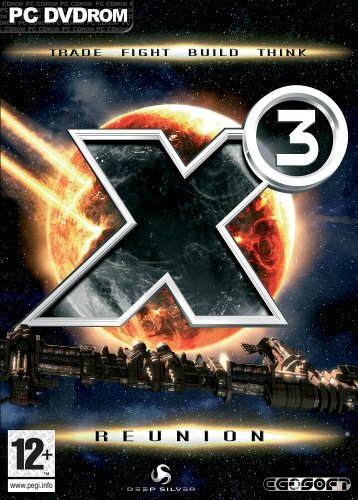 The Sequel to the award winning X2: The Threat will introduce a new 3D engine as well as a new story, new ships and a new gameplay to greatly increase the variety in the X-universe. The economy of X3: Reunion will be more complex than anything seen in the X-universe before. Factories are being built by NPCs, wars can affect the global economy, NPCs can trade freely and pirates will behave far more realistically. Extensive development has gone into the X3 engine, making full use of DirectX 9 technology, to create dramatic visual effects and stunningly realistic starships. Coupled with the massively enhanced A.L. (Artificial Life) system, X3: Reunion will present players with an ever changing, evolving universe; where a player's actions really can shape the future of the universe. Newcomers will enjoy the additions to the already graphically impressive, almost living X3-Universe, while veterans can expect new construction options and an improved physics model. What happened so far: While the Argon fleet is stretched almost to breaking point by the continuing attacks from Khaak, a new enemy is stalking the X-universe. What links a mysterious ship with the power to disappear, the ruthless Yaki pirates and a machine left by an ancient species? It's time to strap yourself into your cockpit, warm up your laser cannon and get some answers. * A new graphical user interface prevents less screen obstruction and faster access to all game options. * Completely redesigned X universe, with new high detailed environments including asteroid fields, dense gaseous nebulae's, star ship graveyards and much more.